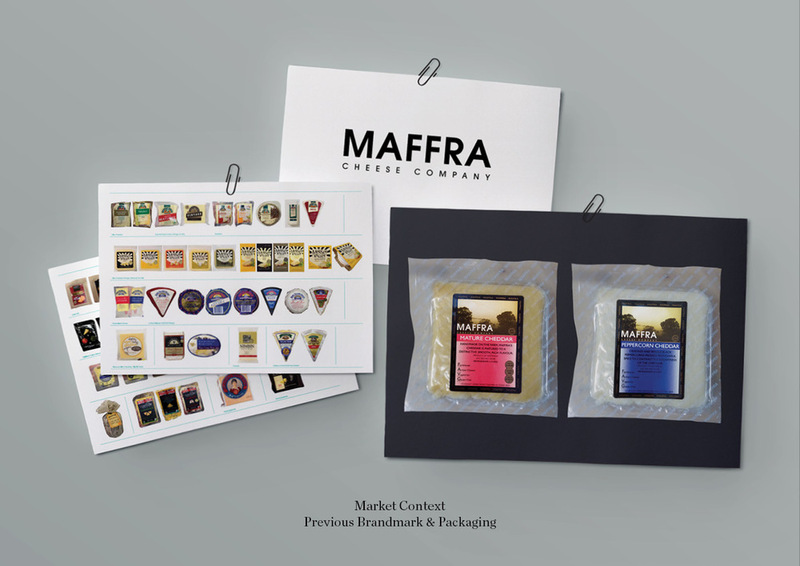 Brand Strategy, Brand Identity, Packaging Design, Communication Strategy, Point of Buying, Production Management. It was a beautiful morning when we first visited the Maffra farm. 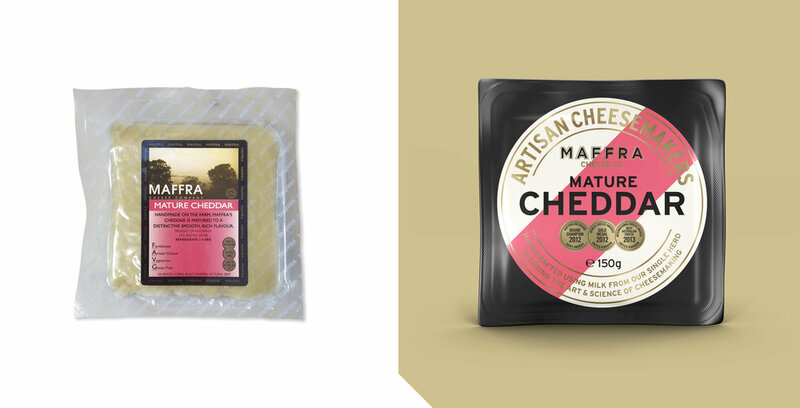 In her rustic office, Maffra Founder, Ferial Zekiman opened an old filing cabinet, revealing a drawer full of local and international awards for their incredible single-herd cheese. Ferial told us her amazing story, starting as a chemist in Cyprus, culminating in making multi-award winning English-Style cheeses in Australia. How do you express your authentic roots & have global appeal? 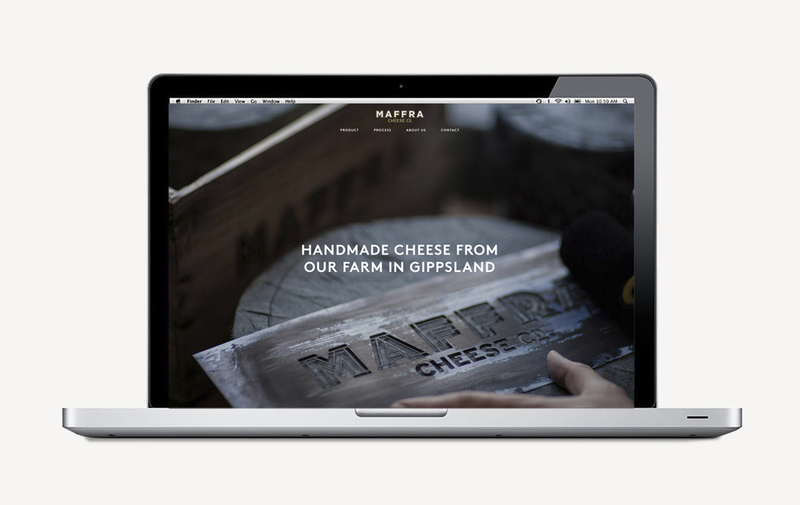 To stand-out in a complicated retail cheese fridge, Maffra needed to have a bold and iconic design that reflected the founders journey and European history but with a timeless style, reminiscent of the cheese and wine artisans of old. Ferial's alchemy and artisan skills are what make Maffra's products unique and this is reflected in the detail of the wordmark. 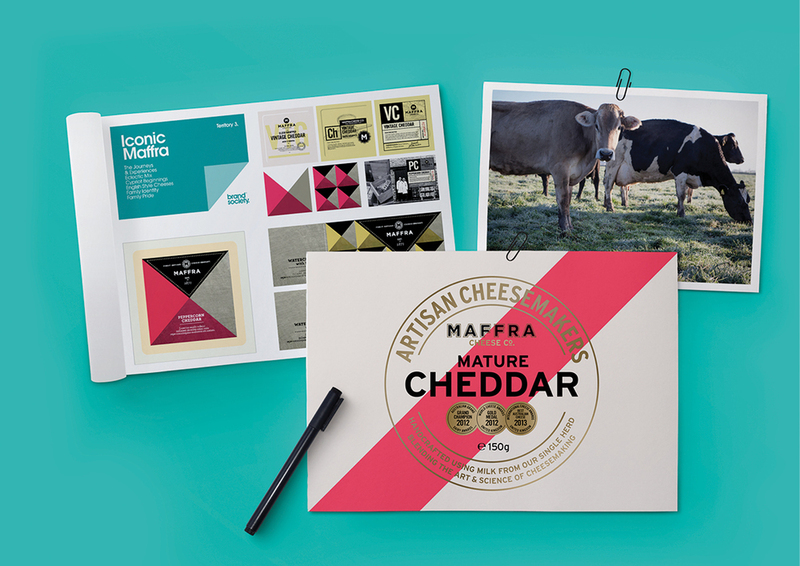 With a bold design-style reminiscent of traditional wine design, the new brand identity and packaging range has brought great success to Maffra Cheese Co. seeing the company grow its retail offer to all major Australian supermarkets.